A landmark report into Australia's social cohesion shows that while Aussies are still a tolerant and welcoming bunch overall, they're increasingly turning their backs on politicians, asylum seekers, minority groups and the looming environmental threat. 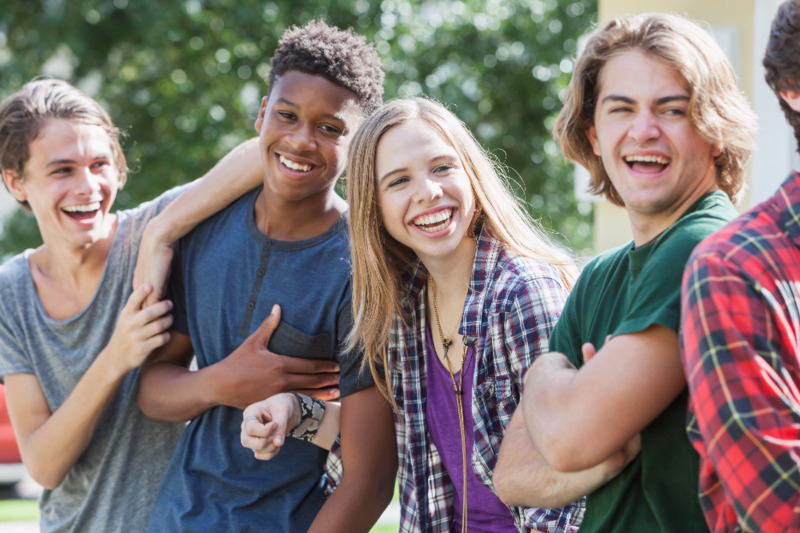 The Scanlon Foundation's Mapping Social Cohesion report, now in its 10th year, aims to add well-researched facts as a reference for us to counter some of the more outlandish claims being spread about what we all really think. That the majority of Australians (currently 56%) think immigrations levels are either "about right/too low"
On the other side of the equation though, there's been some dramatic shifts in opinion, when it comes to nominating the most important issue facing the country. Concerns of terrorism and national security are at 7%, compared to just 1% in 2014 and remains in the top five in peoples' concerns. While defining social cohesion is a tricky business, the foundation says a shared vision of Australia's future, people ready to cooperate and a commitment to seek harmony are critical factors. 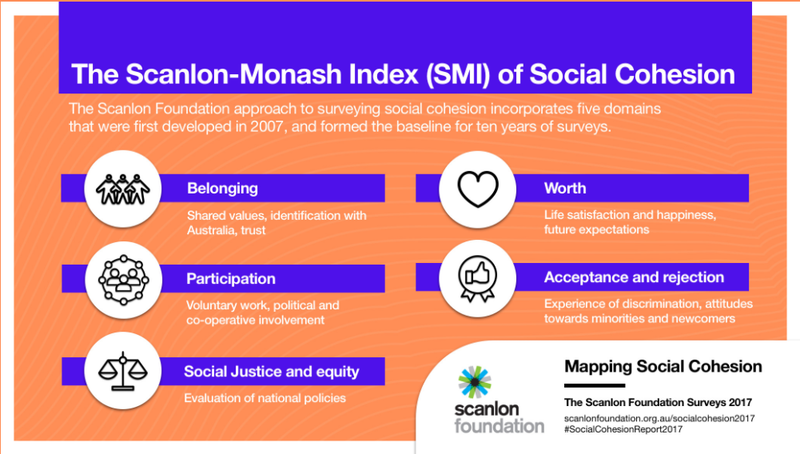 Unfortunately, the Scanlon Monash Index, which measures that overall cohesion has shown a drop from the original 100 point reference to an equal all-time low of 88.5. The foundation's study suggests the country's resilience - including its political stability - has diminished as a result, and warns this could put us at risk of being unable to respond to economic and other crises that could threaten us.